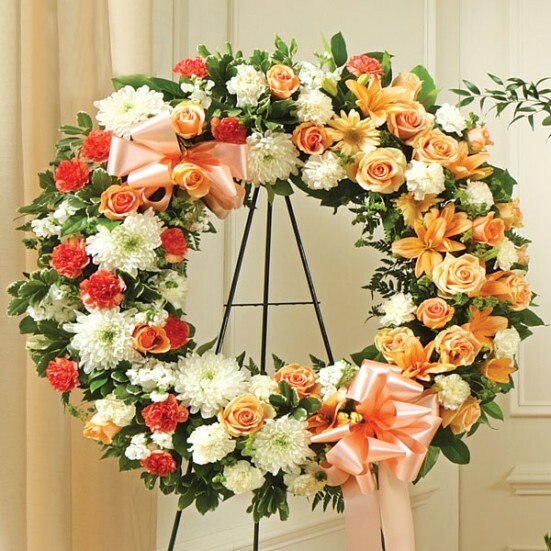 A collection of sympathy wreaths for you to express your heartfelt condolences. 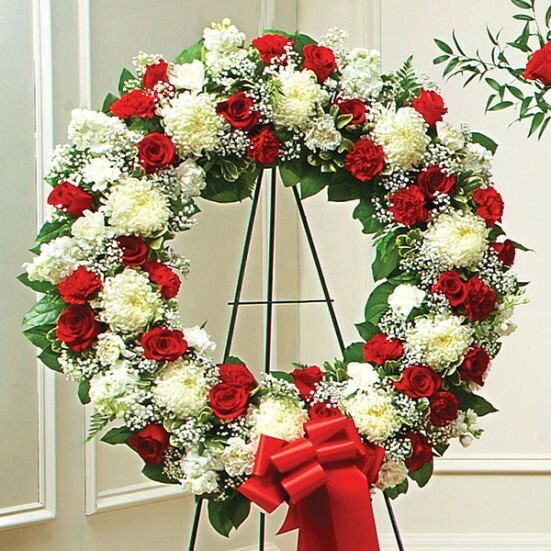 Find professionally made wreaths from fresh-cut flowers, entirely appropriate for funerals, memorial services, wakes and other relevant ceremonies. 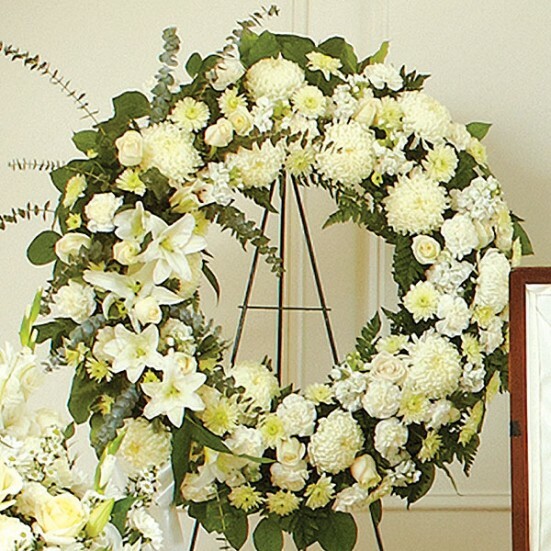 Made with white lilies, chrysanthemums, roses, daisies and other flowers, they are crafted with care by an experienced designer and with carefully selected flowers. 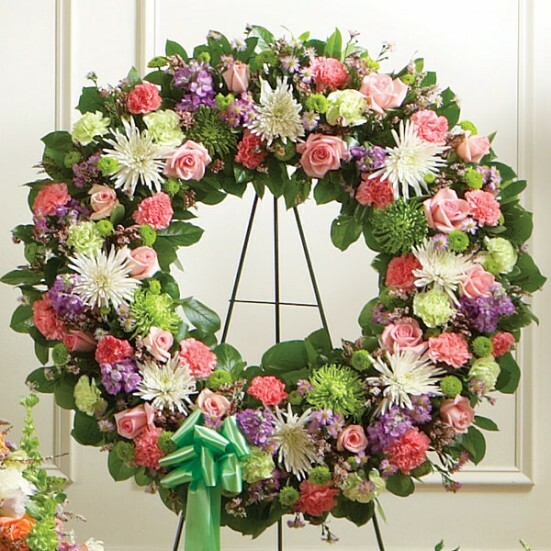 Plantshed.com is your trusted online florist that will support reliable delivery of the beautiful sympathy wreaths directly to the premises of the ceremony. 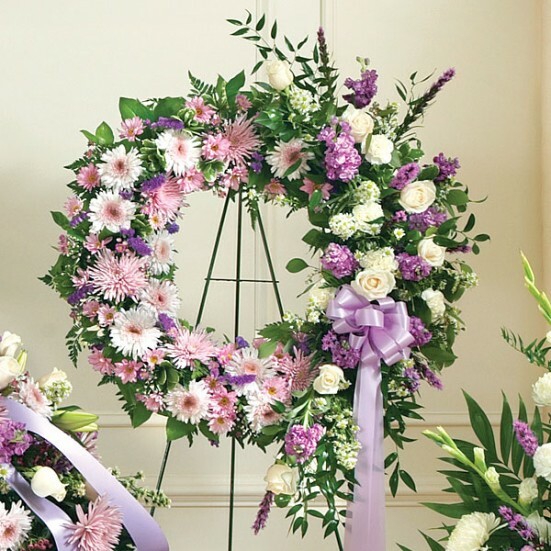 Shop your selection of funeral flowers, casket covers, sympathy crosses, flower hearts and sympathy wreaths and schedule a delivery directly to the church or funeral home.  Same day hand delivery is also available for any of the five boroughs. Get FREE Manhattan deliveries for online orders over $100. 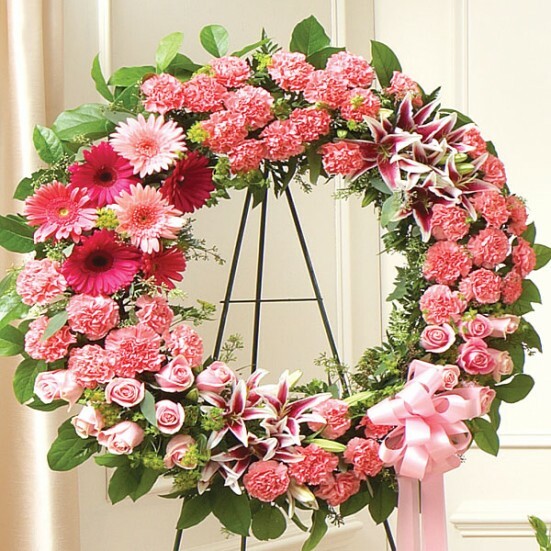 A carefully selected flower sympathy wreath will be your way to express your heartfelt condolences and sorrow, in a very appropriate and appreciated way. All of our flowers are selected for freshness, based on stringent quality standards. Our experienced team evaluates every single bloom and only the best are selected to be used in bouquets, flower arrangements, funeral flower creations, and other floral designs. Plantshed has 30 years of experience in the flower and plant business and started as a local florist in the Upper West Side of Manhattan.